In my first post about mentorship, I alluded to one of my earliest mentor meetings in the residency. When I started residency, I expected mentoring to be structured and scheduled for me. However, I quickly learned mentoring is not passive. Much of the responsibility is on the mentee. Mentors can only do (and should only do) so much. But, in the beginning many mentees (myself included) believe myths that hinder the mentoring process. The first few times I met with Phil Plisky, one of my current mentors, I acted like I was in an interview. I censored my answers to questions, I hid insecurities, and I acted like a professional instead of a person. Eventually, the process got easier. I recognize now, that it was Phil who not only acted as my mentor, but taught me how to be a better mentee. So, to write this post about the common myths/misconceptions about mentoring, I sat down with Phil. After mentoring residents, students and other professionals he easily came up with a list of the most common myths that undermine the success of mentorship. If you want to get the most out of mentoring, then you need to stop believing these seven myths. Myth #1: Listening to advice is enough. Reality: Have you ever asked someone for advice, listened and then done whatever you originally planned regardless of the advice you were given? When you sit down with a mentor, you are often seeking some form of advice. However, there is a distinct difference between listening to advice and acting on advice. It is not enough to agree with the advice. You need to sort through it, dissect it and then implement it. A mentor does not expect you to accept all recommendations, but you should be using some of the advice given. Before asking for advice and after getting advice, you need to reflect on your own goals. Self-reflection is the cornerstone to success with mentorship. You need to figure out where you are and where you want to go before turning to a mentor. When you first define what you want and need, you can then ask for help. This allows the mentor to understand your goals with greater depth. Preparing for a meeting is not making a list of items to check off. It is instead looking within and determining your greatest needs. Myth #2: Mentoring takes care of the process. Reality: Mentoring is about getting direction, not the shortcut. It is not intended to take the place of the process. Mentoring only works if you are already working hard in your respective area. To quote Phil, “A mentor points you in the right direction when you are already running really hard.” A mentor is like the navigation system in the car, but not the engine. A mentor can’t guide you if you aren’t working hard and a navigation system can’t tell you to turn right in 1000 ft if you never leave the driveway. If you are not “running” already then mentoring sessions become talking sessions instead of strategizing opportunities. Myth #3: Meetings should be all about business. Reality: You may believe that you need to keep meetings devoid of feelings and concerns, but your mentor needs to know you as an individual. I’m not suggesting that meetings should center on your personal life, but your mentor needs to know your emotional barriers. It is important to have an open relationship and disclose your feelings and insecurities. A mentor that knows your goals, but also your fears can either help push you or support you depending on the situation. Your mentor is not there to judge you. He or she will be able to help you overcome challenges, but that will be difficult if you haven’t made them known. 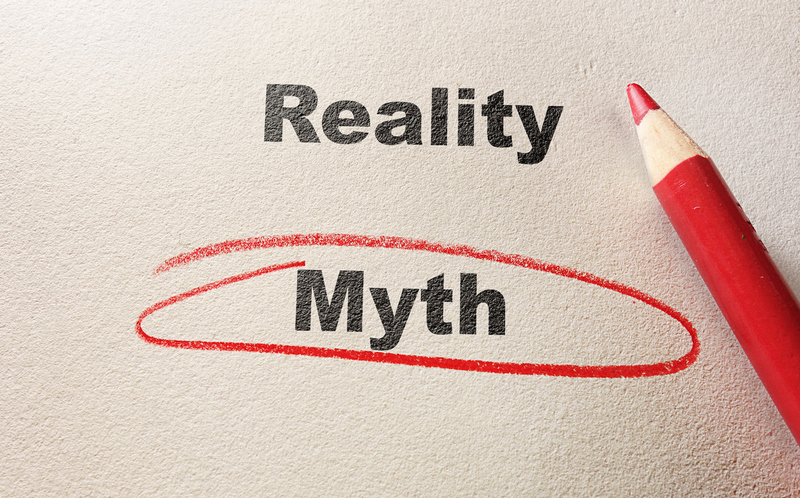 Myth #4: Don’t question the process. Reality: Mentoring is a conversation, not a lecture. It is important to be open and voice any frustrations with the mentoring process. If you don’t agree with advice, discuss it in a healthy way. Your mentor is coming from a place of experience. There is a reason for the advice given and sometimes you may need clarification. Ask instead of ignoring the advice. Many times, you are on the right path and close to achieving your goal- you don’t know it, but your mentor does. Myth #5: Follow in your mentor’s exact footsteps. Reality: Your mentor is a role model for the success that you want, but you cannot expect your journey to success to be the same as theirs. Do not try to be exactly like your mentor. In the words of Matsuo Basho, “Do not seek to follow in the footsteps of the wise. Seek what they sought.” Look at what your mentor has accomplished and try to find qualities to emulate instead of experiences. Be yourself and use your mentor’s path as a reference instead of a something to be replicated. Myth #6: Meetings are the most effective form of mentorship. Reality: While meetings help clarify goals they aren’t necessarily the best way to grow as a professional. Show up as much as possible- be around your mentor when they are engaged. Learn from them and learn with them. You learn by digging the ditches with your mentor. You are going to see firsthand all the challenging work that goes into being successful. Be present for the results, but more importantly be present during the process. Disclaimer: Don’t be surprised if you don’t enjoy digging the ditch. Valuable learning does not always come from fun or exciting experiences. But, your shared experiences with your mentor are much more beneficial than any meeting. You learn what it takes and you strengthen your relationship in the process. It is valuable to see the ditch after it has been dug, but it is much more impactful to experience what it took to dig. Myth #7: Mentoring is a one-way street. Reality: While you may not give back as much as you receive during mentoring, that doesn’t mean you shouldn’t do what you can. Showing appreciation is a necessity when it comes to mentorship. Gratitude comes in many forms, but Theo Epstein’s 20% rule is a great place to start. There is 20% of your boss’ or mentor’s job that they don’t enjoy doing or uses too much of their time. By doing the 20%, you’ll give your mentor back some time, show your appreciation, and demonstrate your level of commitment. PREVIOUS POST Previous post: What Books Have You Read? Here are my first thirteen.